Eurocom is shipping the most powerful supercomputer class fully configurable laptop in the world, equipped with NVIDIA GeForce GTX 880M in single and SLI (Dual) configuration, an X79 Express Chipset supporting Intel Core i7-4000 and Intel Xeon E5-2600 V2 processors, up to i7-4960X or Xeon E5-2697 v2, 32 GB DDR3-1600 and 6 TB Of RAID 0/1/5/10 storage. NVIDIA GeForce GTX 880M graphics card has 1536 CUDA cores running at 954 MHz + boost with 8 GB GDDR5 memory running at 2500 MHz. In SLI the two 880M graphics cards offer users a whopping 16 GB DDR5 video memory and 3072 CUDA cores giving Eurocom users epic performance. “At Eurocom we specialize in offering the most powerful, capable, high quality and upgradeable systems to our clients. The EUROCOM Panther 5 is the epitome of this, it supports a wide variety of processors, graphics, displays, memory and many of components while offering a very high quality chassis.” Mark Bialic, Eurocom President. The NVIDIA GeForce 880M features blazing performance, battery saving technologies such as new NVIDIA Battery Boost, and the addition of cool new gaming features such as ShadowPlay and GameStream. The 880M is equipped with GPU Boost 2.0 for over clocking to allow for maximum performance. EUROCOM Panther 5 is designed specifically for high-end professional graphics users demanding maximum performance and power when running professional applications. The EUROCOM Panther 5 is an enterprise class system for professionals creating, studying and manipulating sensitive data, because of this security is essential. Eurocom equipped the Panther 5 with a Trusted Platform Module 1.2 (TPM), finger print reader and Kensington lock port to help ensure the intellectual property being stored on the system is safe and secure. “The NVIDIA GeForce GTX 880M graphics are going to elevate GPU performance to new heights by providing superior graphics performance combined with high reliability” states Mark Bialic, Eurocom President. The EUROCOM Panther 5 is an enterprise class system for professionals creating, studying and manipulating sensitive data, because of this security is essential. Eurocom equipped the Panther 5 with a Trusted Platform Module 1.2 (TPM), finger print reader and Kensington lock port. 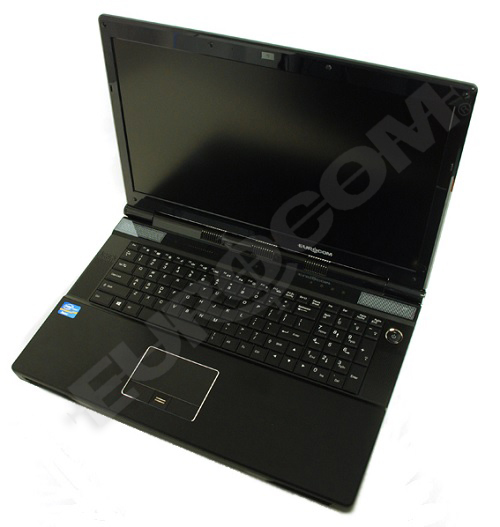 The EUROCOM Panther 5, which measures 16.76x11.44x2.31-2.48inch and weighs 12 lbs. Enjoying the latest content is all about visuals. The EUROCOM Panther 5 high performance laptop support beautiful full high definition 1080p 1920x1080 matte and glossy displays with the option to go with a fast refresh 120 hz panel. EUROCOM Panther 5 uses quad channel memory, and enables the Panther 5 to initially support up to 32GB of DDR3 1600MHz RAM via four 8GB SODIMM 204 pin modules. With such massive amounts of RAM available and high performance Intel processors, the Panther 5 becomes a great tool for virtualization and high performance professional computing environments. The Panther 5 has support for four Solid State, Hybrid, or Enterprise level drives with RAID 0,1,5,10 capability. With support for up to four 1.5 terabyte storage drives, the Panther 5 is able to offer 6 terabytes of storage. RAID 0,1,5,10 capability gives users the ultimate in performance or redundancy. SSD drives in particular will benefit from the use of the SATA 6Gbp/s standard available on 2 ports, eliminating bottlenecks for the fastest SSD drives. The Panther 5 is equipped with a multitude of ports to connect to a variety of specialized equipment. High definition audio and video interfaces are supported to connect the Panther 5 to all the peripheral devices you need: S/PDIF is a digital audio interconnect standard based on the professional AES3 standard, it can carry two channels of PCM audio or multi channel surround sound. FireWire 800 is a high bandwidth, low latency isynchronous and asynchronous data delivery interface, ideal for audio, video and graphics transfer. HDMI 1.4a is a high quality audio and video interface ideal for transferring uncompressed audio and video from the computer system to digital devices. Display Port 1.2 is generally used to connect a video source, being the computer to a display device but can also be used to transmit audio. DVI-I is a digital and analog interface designed to transmit uncompressed video. The system allows for fast and easy media transfer though the 9 in 1 card reader. The slot ExpressCard 54 slot is compatible with 34mm wide cards as well as 54 and allows for additional connectivity of peripheral devices to the Panther 5, including a Magma Express Box expansion chassis containing optional PCIe cards such as video capture, media transcoding, audio processing.